Justice League comes to cinemas November 17. Compiled by Carl Slaughter: (1) Injustice. Nobody likes layovers, but the first astronauts heading to Mars will get to experience one of the longest such experiences of their lives. They’ll have to spend one year going around the moon, which will probably be a very annoying wait for the first people heading to the red planet. It’s not all bad news, however, as they won’t just wait for time to pass by. NASA actually wants to make sure that the round trip to Mars, a 1,000-day endeavor, is carefully planned during the time. NASA’s Greg Williams, revealed that the agency’s Phase 2 of its plan to send humans to Mars includes a one-year layover in orbit around the moon in the late 2020s, Space reports..
Williams, NASA’s deputy associate administrator for policy and plans at the Human Exploration and Operations Mission Directorate, revealed that NASA wants to build a “deep-space gateway” around the moon that would serve as the testing ground for the first Mars missions. (2) ZUBRIN’S MARTIAN KERFUFFLE. Joel Achenbach’s article for the Washington Post, “Mars Society founder blasts NASA for ‘worst plan yet’”, reports on a space exploration conference sponsored by The Atlantic in which Robert Zubrin said NASA’s plan to build a space station orbiting the moon is a giant waste of money because no one before this suggested Mars expeditions needed to have a midway stop before. Until recently, NASA branded virtually everything it was doing as part of a “Journey to Mars,”and Mars remains the horizon goal. The destination was even mandated in a recent congressional authorization act for NASA that was signed by President Trump. (3) BACK IN ACTION. 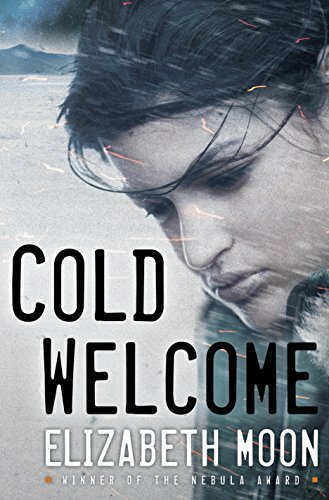 After an 8-year break, Elizabeth Moon relaunched her Vatta’s War series in April with Cold Welcome. (4) EMERGENCY BACKUP. “Justice League director Zack Snyder steps down due to family tragedy”. Joss Whedon comes off the bench to finish the picture. Zack Snyder, who has acted as DC Comics’ directorial visionary on a number of its most ambitious film projects, is stepping down from Justice League due to a family tragedy. The news, announced in an interview published today by The Hollywood Reporter, means Snyder will be handing the reins over to Avengers director and writer Joss Whedon, who will ferry the project through its remaining post-production stage before its November 17th release later this year. Frank Herbert’s 1965 novel, Dune, is widely recognized as the best selling science fiction novel of all time. 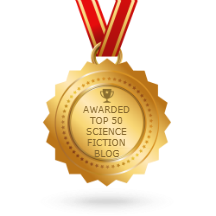 It’s exploration of politics, religion, sexism and ecology set against an interstellar backdrop allows the reader a reflection on the human condition in the modern era. Herbert’s Fremen of Arrakis provide a counterpoint to a culture consumed by avarice — the desire for melange. Join us as we depict Herbert’s illustrative words through the art of ballet. Movement will be on full display in its varied definitions as we follow Paul Atreides in his rise to power as both royalty and the prophet of the Fremen. Keep track of the event on Facebook. (6) GO GO GO. I don’t pronounce it, I just report it. “Google’s AlphaGo AI defeats world Go number one Ke Jie” — The Verge has the story. Google’s AI AlphaGo has done it again: it’s defeated Ke Jie, the world’s number one Go player, in the first game of a three-part match. AlphaGo shot to prominence a little over a year ago after beating Korean legend Lee Se-dol 4-1 in one of the most potent demonstrations of the power of artificial intelligence to date. And its defeat of Ke shows that it was only getting started. “I think everyone recognizes that Ke Jie is the strongest human player,”9th-dan professional and commentator Michael Redmond said before the match. And despite defeat, Ke’s strategy suggested that the 19-year-old Chinese prodigy has actually learned from AlphaGo’s often unorthodox approach. “This is Master’s move,”said Redmond of one of Ke’s earliest plays, referring to the pseudonym that AlphaGo used for a recent series of online matches in which it racked up a 60-game winning streak. (7) COMIC SECTION. A commenter seeing yesterday’s news item about someone in a T-rex costume scaring horses in Charleston aptly contrasted the episode with the comic “Menace” at Hyperbole and a Half. When we last checked in on Bella Forrest, she had just launched her dystopian Gender Game series and was continuing her longrunning Shade of Vampire series. In June 2017, she will wrap her Gender Game series. In March 2017, she launched her magic academy Spellshadow Manor series. Shade of Vampire is at #45. With all 3 series, she cranks out a book per month. Meanwhile, the first Gender Game novel has received 1500 Amazon reviews, over 90% of them 4 and 5 star. (9) PUSHME PULLYU. “Oh, your tractor beam is so itty bitty.” “Oh, your imagination is so itty bitty.” —“Physicists sketch plans for a matter-wave tractor beam”. A team of physicists have outlined a means of making tractor beams to push and pull objects at a distance using “matter waves” those strange analogues of light waves that underlie quantum mechanics. Tractor beams, staple tools of science fiction for remotely pulling in space shuttles and yanking away incoming space debris, have been edging into reality in recent years. The first real-life tractor beams were made of photons. It is easy to imagine a stream of photons carrying a particle of matter along like a river picking up a leaf and carrying it downstream. What is astounding about tractor beams is that by skilfully manipulating the transfer of momentum from the beam, physicists do not have to rely only on pushing particles, but can make light pull particles of matter, like a tractor. Beams made of sound waves have also been demonstrated in the lab. (10) LEST PAYDAY FAIL. At Tor.com, Jo Walton asks “Why is Genre Fiction Obsessed with Belisarius?”. I once wrote jokingly here that there are only three plots, and they are Hamlet, Pride and Prejudice, and Belisarius, because those are the ones everyone keeps on reusing. (11) ANOTHER ONE BITES THE DUST. Trae Dorn at Nerd & Tie says a Chicago convention is pivoting to serve a different market and adopting a new name — “Kollision Con Calling it Quits, Organizers Launching GEM Expo Chicago Gaming Con in Its Place”. After six conventions, Chicago based anime convention Kollision Con€˜s organizers have decided to call it quits. They made the announcement on the con’s official Facebook page late last week, citing venue issues and an overcrowded Anime con scene as their primary reasons for ending the show. The organizers aren’t giving up on running conventions though, as in that same post they announced the GEM Expo Chicago, a gaming convention that will occupy the dates originally reserved for Kollision Con 2017. (12) FLYING OFF THE SHELVES. Last year toy sales received a boost and the reason is clear — “Year-round ‘Star Wars’ toy sales boost entertainment merchandise revenue” reports the LA Times. Year-round “Star Wars” hype is giving a boost to Hollywood’s merchandising business. Licensed goods based on movies and other entertainment properties generated $118 billion in global retail sales last year, up 5% from 2015, according to a new report. Toys, apparel and other wares tied to movies such as “Star Wars: The Force Awakens,” “Rogue One: A Star Wars Story” and “Batman v Superman: Dawn of Justice” helped propel the increase, the Licensing Industry Merchandisers’ Assn. said Monday. The year benefited from two “Star Wars” installments as bookends: “Star Wars: The Force Awakens,” which was released in December 2015, and “Rogue One,” which came out a year later, said Marty Brochstein, senior vice president of the association. (13) DON’T STIFF THE STAFF. Are you a bad tipper? You’re a science fiction fan, of course you’re a bad tipper. Okay, maybe not you personally. But ever been out to dinner with a group of fans? It can be excruciating! Here’s one commentator’s advice about “How to Tip in All Situations”. Tipping has been known to divide families, ruin relationships, and even start wars. Not really. But tipping is an issue that brings out all sorts of passionate opinions. Who should you tip? How much should you tip? When is it appropriate to leave a bad tip? And is the whole idea of tipping flawed in the first place? If you’ve ever asked those questions, then we’re here to provide a little clarity on the all-important subject of tipping etiquette. When in doubt about whether or not to leave a tip, always err on the side of generosity. Remember, your tip says more about you than the person you’re leaving a tip for. So let’s take a look at some of the people you should tip. Then we’ll give you a general idea of how much to tip them. (14) FEELINGS OF INSECURITY. Yahoo! News lists major cyber attacks over the past 10 years. A huge range of organisations and companies around the world have been affected by the WannaCry ransomware cyberattack, described by the EU’s law enforcement agency as “unprecedented”. …In November 2014, Sony Pictures Entertainment became the target of the biggest cyberattack in US corporate history, linked to its North Korea satire “The Interview”. (16) WE HAVE MET THE ENEMY. The latest explanation for bee colony collapse — “How beekeepers help deadly parasites thrive” in Cosmos. Deadly mite infestations considered a leading cause of the continuing collapse of the global commercial honey-bee industry are being abetted by modern bee-keeping practices, new research suggests. The research, published in the journal Environmental Entomology, points the finger at the practices of siting commercial hives too close to each other, and of thwarting the bees’ swarming behavior, for creating conditions ideal for the rapid growth and spread of the parasitic Varroa mite. The mite (Varroa destructor) is a text-book example of zoonosis — a predatory or parasitic species that has “spilled over” from its traditional host into a new species which, not being adapted to it, suffers catastrophic consequences. Varroa’s natural host in the Asian honey-bee (Apis cerana). Co-evolution has resulted in the two species being able to live in balance. Justice League will be in theaters in November 2017. (1) TRAFFIC. How do you get more pageviews for your blog? Talk about politics. But, of course, these things must be done delicately. Notice the daft, er, deft touch in Camestros Felapton’s post “Well, He Kept That Quiet”. In a surprising move, presumptive Democratic nominee for President of the United States, Hillary Clinton, has chosen local vermin catcher Timothy the Talking Cat as her Vice Presidential pick…. (2) SPACE, THE FASHION FRONTIER. 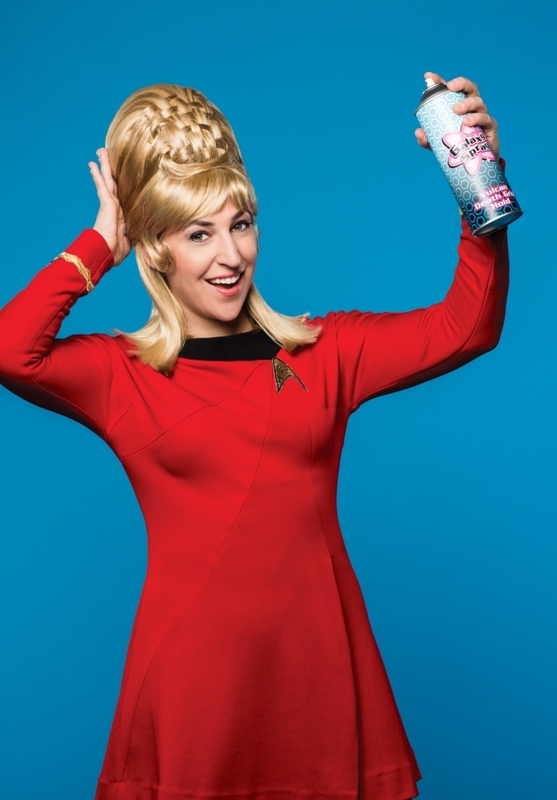 Mayim Bialik of Big Bang Theory did a Star Trek-themed photo shoot. There are six pictures in the gallery, with Bialik costumed as a series of characters from classic Trek. She also appears in a two-minute “making of” video. Women have played critical roles throughout the history of the U.S. space program, a.k.a. NASA or the National Aeronautics and Space Administration. Yet in many cases, their contributions are unknown or under-appreciated — especially as women have historically struggled to gain acceptance in the fields of science, technology, engineering, and mathematics (STEM). Margaret Hamilton, computer scientist: While working at MIT under contract with NASA in the 1960s, Hamilton developed the on-board flight software for the Apollo missions to the moon. She is known for popularizing the modern concept of software. Katherine Johnson, mathematician and space scientist: A longtime NASA researcher, Johnson is best known for calculating and verifying trajectories for the Mercury and Apollo programs — including the Apollo 11 mission that first landed humans on the moon. Sally Ride, astronaut, physicist, and educator: A physicist by training, Ride became the first American woman in space in 1983. After retiring as a NASA astronaut, she founded an educational company focusing on encouraging children — especially girls — to pursue the sciences. Nancy Grace Roman, astronomer: One of the first female executives at NASA, Roman is known to many as the “Mother of Hubble” for her role in planning the Hubble Space Telescope. She also developed NASA’s astronomy research program. Mae Jemison, astronaut, physician, and entrepreneur: Trained as a medical doctor, Jemison became the first African-American woman in space in 1992. 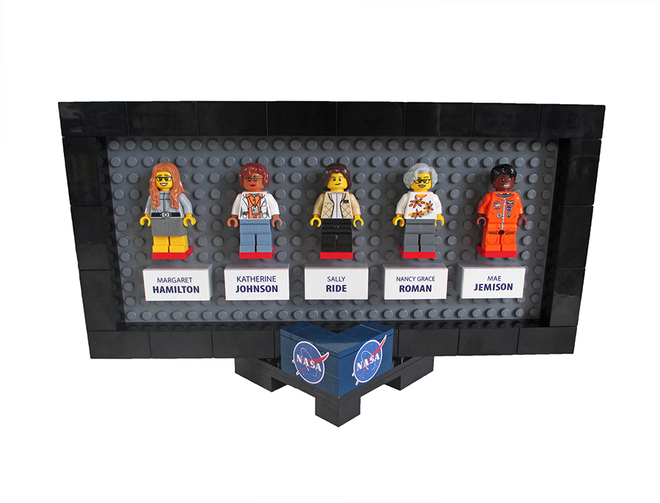 After retiring from NASA, Jemison established a company that develops new technologies and encourages students in the sciences.In addition to a desktop frame that displays these five minifigures and their names, the set includes vignettes depicting: a famous photo of the reams of code that landed astronauts on the moon in 1969; instruments used to calculate and verify trajectories for the Mercury and Apollo missions; a microscale Hubble Space Telescope and display; and a mini space shuttle, complete with external tank and solid rocket boosters. The idea has gathered 2,513 supporters as of this writing – with 541 days left (that’s what it says). It needs 10,000 supporters to qualify for an official LEGO review. (4) GHOSTBUSTER TOYS. Meanwhile, some toy shelves have become ghost towns due to strong sales – “Mattel Reports ‘Ghostbusters’ Toy Sales Have ‘Exceeded Expectations’”. Mattel is reporting strong early sales for its line of toys based on the female-led “Ghostbusters” — from both boys and girls. In keeping with the tagline “Everybody wants to be a Ghostbuster,” Mattel’s retail strategy was to sell the female-led Ghostbusters action figures in the boys’ toy aisle. The sales figures at the top retailers in the country have exceeded expectations, the toymaker reported Friday. (5) PULP STUDIES. James Madison University will host the 1st Annual Pulp Studies Symposium on October 7-8. One of the speakers is today’s Munsey Award winner, Laurie Powers. Nestled in the Shenandoah Valley, James Madison University’s Special Collections hosts one of the finest publicly accessible collections of pulp magazines in the United States, including a recent acquisition of over eighty issues of Street and Smith’s romance pulp Love Story. David M. Earle is Associate Professor of Transatlantic Modernism and Print Culture at the University of West Florida. He is author of Re-Covering Modernism: Pulps, Paperbacks, and the Prejudice of Form (2009) and All Man! : Hemingway, 1950s Men’s Magazines, and the Masculine Persona(2009). More recently, he has published on pulp magazines and modernism for The Oxford Critical and Cultural History of Modernist Magazines, Volume 2; the influence of pulps on William Faulkner for Fifty Years after Faulkner; and pulps and the modernist genre novel for The Cambridge History of the Modernist Novel (2016). His online projects include the Digital Newsstand, an online re-creation of a newsstand from 1925. Day 1: Getting better! Might get represented w/ it. Day 2: WTH? This is dog vomit! (7) KISS ANOTHER HISTORIC HOUSE GOODBYE. According to Los Angeles Magazine, “The Home Where Walt Disney Founded His First Studio Is Set to be Demolished”. New owners have requested a demolition permit for Walt Disney’s first home in California. The well-preserved 1914 Craftsman bungalow at 4406 Kingswell Avenue in Los Feliz belonged to Walt’s aunt Charlotte and uncle Robert Disney, who in July of 1923 invited their young nephew to board in their home (at a rate of $5 per week) as he pursued his dream of becoming a film director. The 2-bedroom, 1458 square-foot home would stay in the Disney family for 30 years. Charlotte moved next door in 1955, spending five decades on Kingswell. When it was sold again in 1977 the owners described it as having “lots of wood trim, fireplace & cheery breakfast room.” The home exhibits tremendous architectural integrity, with the same porch, gables, shingles, windows, and beveled glass door that greeted 22-year-old Walt Disney. According to the Los Angeles County Assessor the property was sold two months ago to Sang Ho and Krystal Yoo of Studio City, who submitted plans on Friday for a new 2-story, 1 or 2-family home they plan to build on the site. In November, the City of Los Angeles Survey L.A. program declared the property eligible for the National Register of Historic Places for its role as Walt Disney’s first studio in California. The same city planning department is now considering issuing a permit for its destruction. July 23, 1982 — Actor Vic Morrow and two child actors were killed when a helicopter crashed on the movie set of The Twilight Zone. July 23, 1999 — Disney’s Tarzan became the first all-digital film. (10) WISE CRACKS. Ethan Mills at Examined Worlds reviews “Tectonic Fantasy: Fifth Season by N.K. Jemisin”. N. K. Jemisin’s The Fifth Season is a difficult, complex, and engrossing tale. Let me focus on the plot structure, the worldbuilding, and the major theme of living within unjust social structures…. Building a Volatile World The worldbuilding is amazing. The Stillness (the sarcastically-named continent where it all takes place) is on a world of intense geological activity, which every few hundred years creates a “Fifth Season” that wipes out a lot of the life on the planet. Worldbuilding aficionados will love the historical appendix that tells the history of each Fifth Season going back several thousand years. There’s also a glossary for more general terms, which is helpful for forgetful readers like me (although most of the terms can be understood in context as you read the novel). It’s obvious as you’re reading that this is the first book of a trilogy, so while I look forward to learning more about the characters, I’m most interested to learn more about the world. (11) HUGO CHANGES. Steve Davidson gives “A 3SV Endorsement” at Amazing Stories. (12) FANTASTIC BEASTS. There’s been an inundation of trailers tailored for showing at the San Diego Comic-Con. I’m including several in today’s Scroll. (13) JUSTICE LEAGUE. Warner Bros. and DC Entertainment showed footage of Zack Snyder’s Justice League in Hall H.
(14) KONG. SciFiNow has a good intro: “Kong Skull Island trailer crash-lands in modern day”. Letting us know that this is brought to us by same folks who created Godzilla, this should have given us a hint of what to expect from Kong: Skull Island. We’ll be honest though: we weren’t prepared for this. Leads Tom Hiddleston and Brie Larson don’t get a single line of dialogue. Instead, co-stars Samuel L Jackson and John Goodman get their time to shine in this modern-day reimagining of the King Kong mythos. (15) MARVEL AND NETFLIX AT SDCC. A look back at Daredevil and Jessica Jones as we get ready for Luke Cage. All episode of Daredevil and Jessica Jones now streaming on Netflix. Luke Cage premieres on September 30. (16) MARCHING DOWN THE AISLE. Elaborate cosplay at SDCC. (17) SOME DARE CALL IT ACTING. Hello Giggles really likes Margot Robbie. Is it too early to start an Oscar campaign for Margot Robbie in Suicide Squad? This is a very serious question. She shouldn’t just with an Oscar for her role in the upcoming DC movie, but maybe like, four. And also probably an Emmy, and a Tony, and let’s just give her a Pulitzer and a Nobel Peace Price, why not. All the awards for Robbie, who is about to make WAVES as Harley Quinn. (18) EVERYBODY NEEDS A CRISIS. Time Magazine explains “Why Aliens Are So Important to Star Trek” – but are they right? While the original Mon Mothma, Caroline Blakiston, is now 83, and thus a little too old to play the Rebel leader in a prequel, it seems that Star Wars: Rogue One has still managed to find a way to go old school with its Mon Mothma-related casting. Our new Mon Mothma is the same Mon Mothma we (kind of) saw in Episode III: Revenge of the Sith, Genevieve O’Reilly.